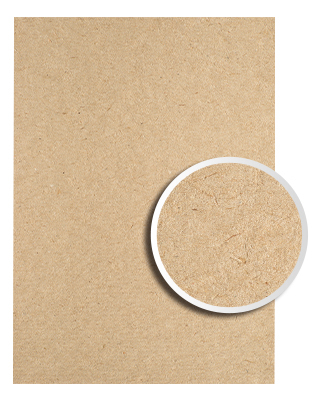 This thick, rich, light brown kraft paper has natural fibers and subtle visible flecks to give Kraft Cards an organic look and feel. The stock is 30% recycled lending to its rustic, eco-friendly appeal. 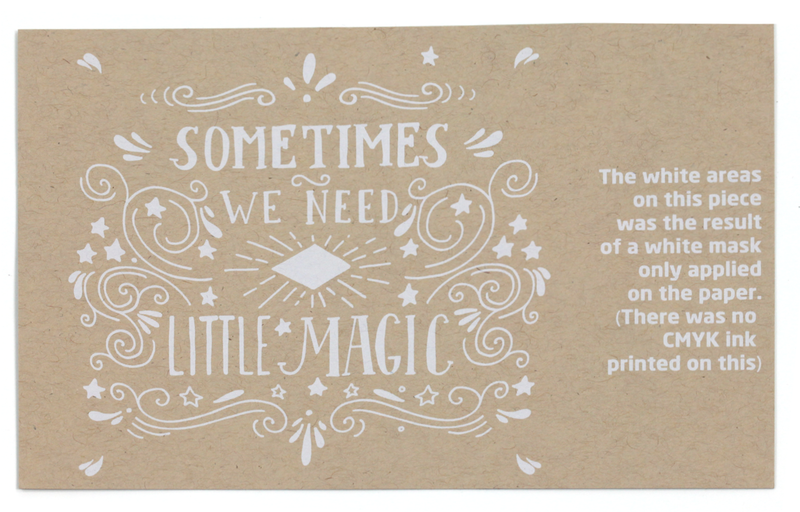 Brown Kraft paper stock is 18PT Uncoated. Perfect for Invitations, Announcements and Weddings. A fold where a three panel piece has both side sections folded inward, one on top of the other. Each section is approximately 1/3 the length of the piece. Also known as a C-fold or letterfold. A paper fold represeted by back and forth folds into three panels. A type of fold where the piece is folded inward at one end and then foled inward again one or more times. It is as if you are rolling the piece up. A type of fold where the piece is folded in half and then folded in half again. The folds are parallel to each other. Also known as a quarter fold. How do I set up artwork for Brown Karft with white ink? 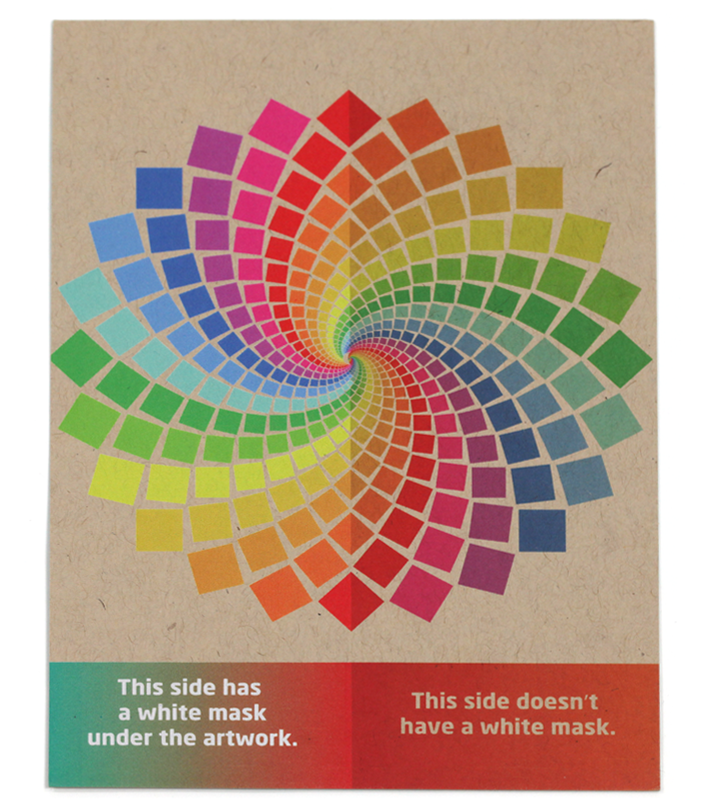 Similar to Spot UV masks, White Mask files are separate from your artwork files. Black in the White Mask file indicates where white ink will be printed. Make sure to create your mask file the same size as your artwork file. This will prevent alignment issues during printing. 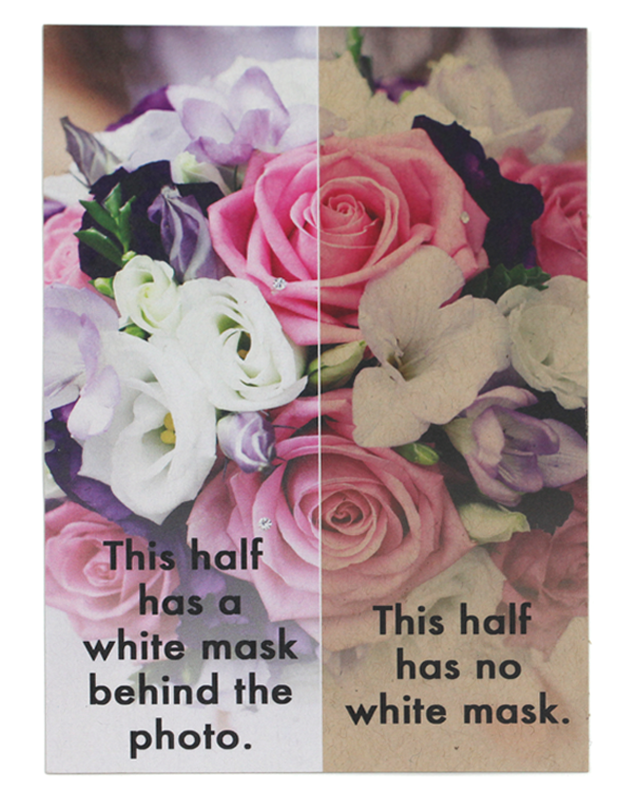 Note: White Masks must be made in vector format and be saved as EPS or PDF. You may use gradients in the white ink mask file. Please be aware that anything less than 100%K will be transparent and allow the brown stock to show through. Create black color areas that will indicate where the white ink base will go. The rest of the areas will show the Brown Kraft stock. 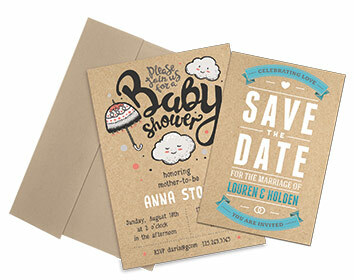 What type of envelopes are available with Brown Kraft Greeting Cards and Announcement Cards?